Midelt is a city in Morocco , at the junction of the chains of the Middle Atlas and the Eastern High Atlas, its population is 60 000 inhabitants. Located at 1,521 m altitude in the Atlas, Midelt has a mountain climate with very often snow in winter. At this altitude, montane vegetation (fir trees, cedars) mostly replaces the Mediterranean vegetation (oak, olive trees, etc.). While Midelt does not have a vast historical heritage and few museums, this city deserves more than the simple role of city stage that is usually attributed to it.Located at the foot of Mount Ayachi, between Mid and High Atlas, Midelt is a small town of medium altitude. This city a beautiful landscape of beauty. 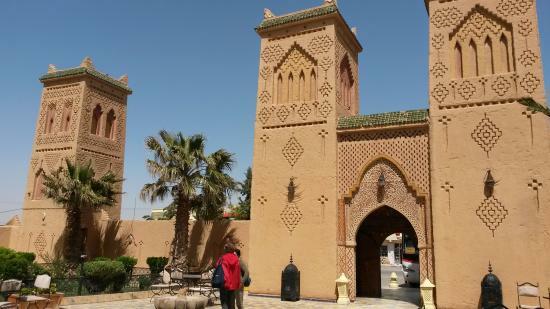 Aside from a kasbah, the place boils down to a stopover town when visiting the Ouarzazate area . You can easily reach the circus of Jaffar. From Midlet, it is also possible to climb Mount Ayachi, which lasts two to three days. Finally, the small town is near the Aouli Gorge and their old lead mines, creating an impressive backdrop in this city . It is a place where you can book a holiday not far from the national park of the high eastern atlas, 3 hours from the desert Erg Chebbi dunes, a few minutes from the eastern High Atlas, and 1:30 of the Middle Atlas, not to mention the different sites where you can organize orientation races, guided tours in old mines, villages and Ksars and Kasbahs, that’s all to keep a good memory of this region.